We are so excited to share our new spring-summer showroom designed by local wedding planner, Amber Lamkin of Blush and Blossom Events! 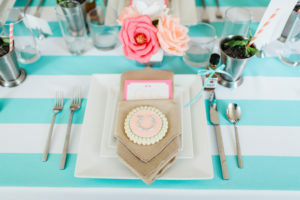 Amber showcased her love of the Kentucky derby with 3 festive tablescape designs. 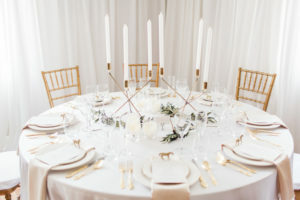 She partnered with Athena Street for paper products, The Paper Peony for handmade paper floral, Vanilla Bean Bakery for custom cookies, and Chloe of Chloe Luka Photography who captured the tables perfectly. 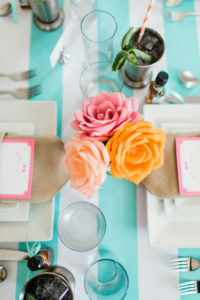 Check out our interview with Amber and her race ready tablescapes below! 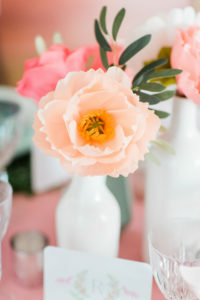 Tell us a little about yourself and how you started Blush and Blossom Events! My love of celebrations stems from when I was younger. My mom was always hosting a holiday party and I always noticed the care that she put into each one. 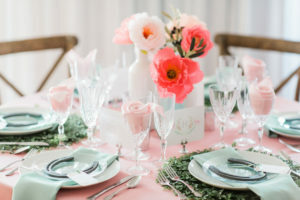 Décor and serving dishes were a big deal to her! 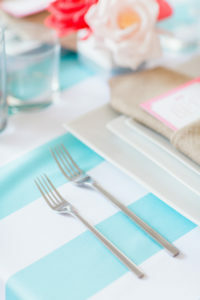 I watched her put so much effort into the details, which is why I think I am so obsessed with tablescapes now. 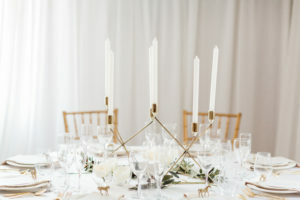 After planning my own wedding and then a friend’s wedding, I decided that this was more than just a hobby for me, but actually a passion worth pursuing. I officially launched my business in January of 2017. 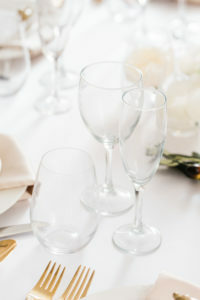 We offer month-of, partial, and full-service wedding planning. 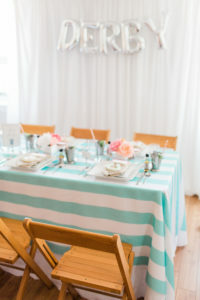 We also offer planning and design for social events. 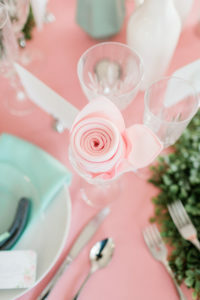 Our planning packages are designed to assist with the overall look and feel of the event while working alongside vendors, negotiating contracts, managing budgets, assisting with rental décor, floorplans, and establishing a timeline. 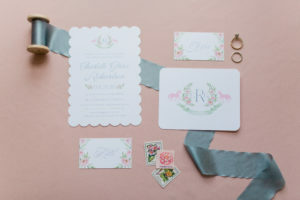 We start the design process off with hearing all about the wedding vision, style, and the big picture. 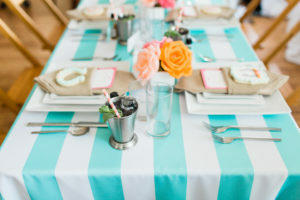 We love that you had a derby theme for all of your tablescape designs! 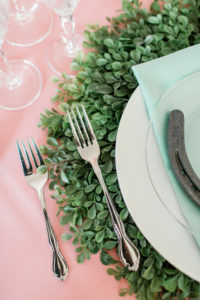 Where did you find inspiration for the decor? Have you attended the derby? 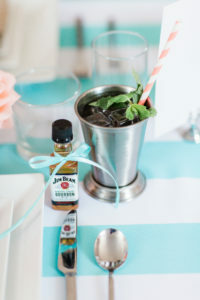 I absolutely love The Kentucky Derby, and actually went for my own bachelorette party. 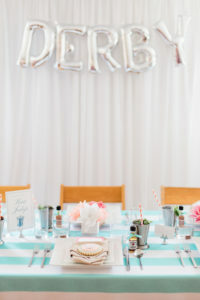 I also had a Derby Inspired Bridal Shower, so when I had the opportunity to design your showroom, I knew exactly what I wanted to do! The Derby is all about bright colors, seersucker suits, and big hats. 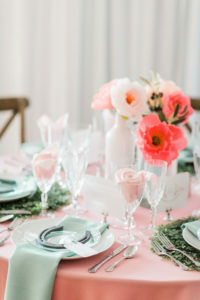 I wanted the spirit of the event to shine through in my designs so I opted for bright pops of color in two of my tablescapes. 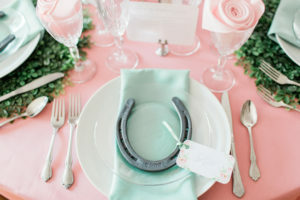 For the Bridal Brunch Table, I wanted it to feel like a Derby garden party, complete with authentic horseshoes and recipe cards by Athena Street Creative for each guest to leave their favorite recipe. 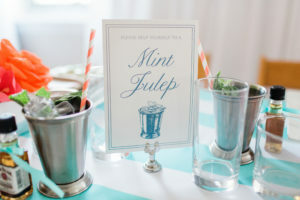 For the Derby Party Table, I wanted it to feel like you were in the grandstand, betting on your favorite horse, sipping on a mint julep- the official drink of The Kentucky Derby. 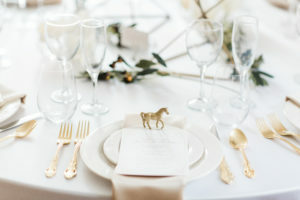 For the Derby Inspired White Wedding table, I wanted it to feel rich and luxurious, with subtle hints of equestrian. 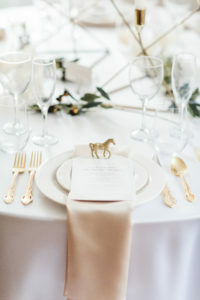 The gold horses were one of my favorite features of the design. 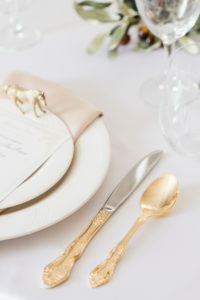 What do you like most about wedding planning? The least? I love the relationship that you build with your couple over the months of planning together. I also love the moment right before the bride and her father walk down the aisle- it’s such a precious moment. 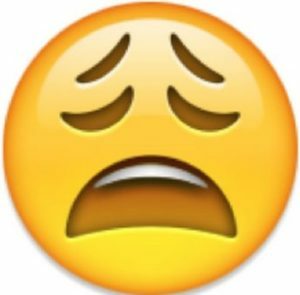 My least favorite part of wedding planning has to be the day after the wedding, when my body aches from standing on my feet for 12+ hours! It’s also kind of sad because everything you’ve been working on for months on end is just over. 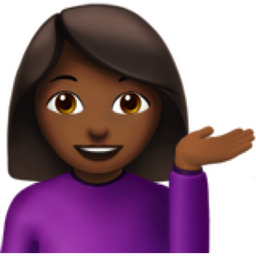 You go from talking nonstop with your client to just liking their photos on Instagram. 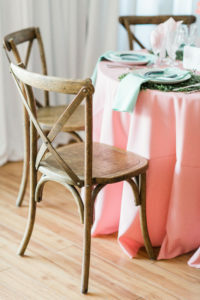 If you’re lucky, you stay in touch far after the wedding though! With three (adorable) kids at home, how do you ensure work-life balance? Honestly, I don’t! I feel like I’m either spending a lot of time with family and neglecting my business OR I pour all of my time and energy into my business and the home responsibilities fall back on my husband. I’m still working on how to achieve balance. Favorite local eatery? I don’t eat out a ton, but when I do, I like Flatwater in Broad Ripple. 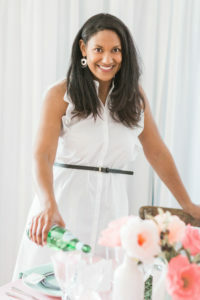 They make delicious grapefruit Moscow mules and their black bean burger is simply perfection! Self-care go to? Getting a massage or going to the chiropractor. Netflix binge? Orange is the New Black is an oldie but goodie and I’ve recently started watching Requiem. 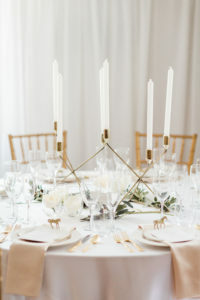 Thanks again to Amber, Kaitlin (Athena Street), Stephen (The Paper Peony), Vanilla Bean Bakery, and Chloe Luka Photography for collaborating with us. 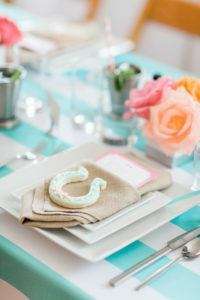 Stop by our showroom to see Amber’s derby-inspired tables in person! Our showroom is open to the public Monday – Friday from 9 AM – 5 PM and Saturday’s from 8 AM – noon.